I finally gave in a little while ago to the succulents trend. Specifically, air plants. There's a woman who sells them at my local farmers market and they're beautiful and apparently hard to kill. With my black thumb, I figured it was worth a shot. And I was so right! 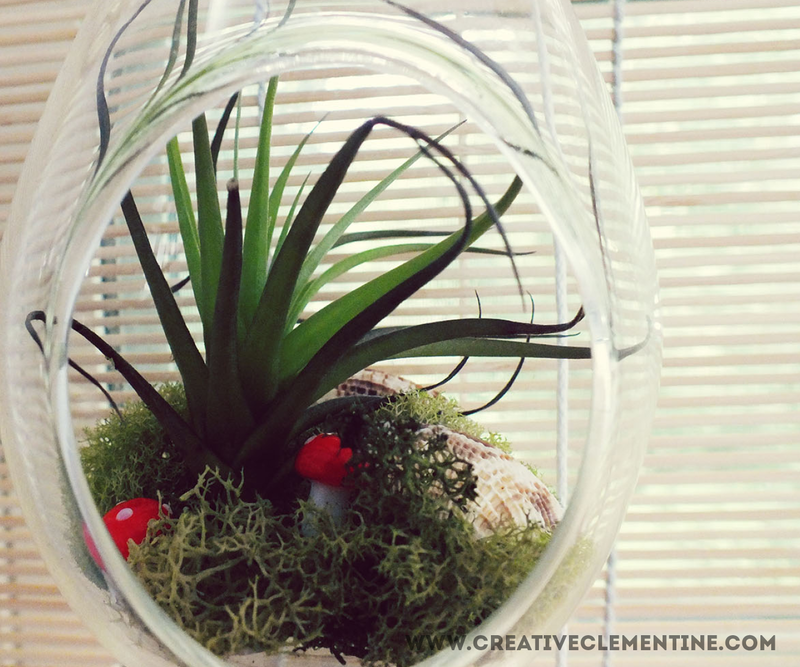 Watering an air plant is both incredibly easy, and in my case, incredibly annoying. The plant came with some decorative fake moss and a couple of shells. All set up, it was absolutely adorable. But watering it meant taking out the plant and shoving it back in, causing everything to shift in the container (vase? Maybe I'll call it a vase) and be less cute. Watering it twice a week meant readjusting all the little pieces twice a week, and I'm far too lazy to do that. So. In keeping with my love of gnomes and fairy realms, I wanted to add some whimsy to my plant while also making it less annoying to water. If you follow me on Instagram, you may have seen a post a few months ago about my mini air-plant makeover. It went a little something like this. I started by emptying the vase. Then I cut a piece of clear plastic from my scrap stash slightly smaller than the base of the vase to use as a base (I think it's a scrap of laminating plastic). I also tried using some craft foam, but I preferred the clear base for my clear vase. It's also very flexible which helps to squeeze it into the vase. 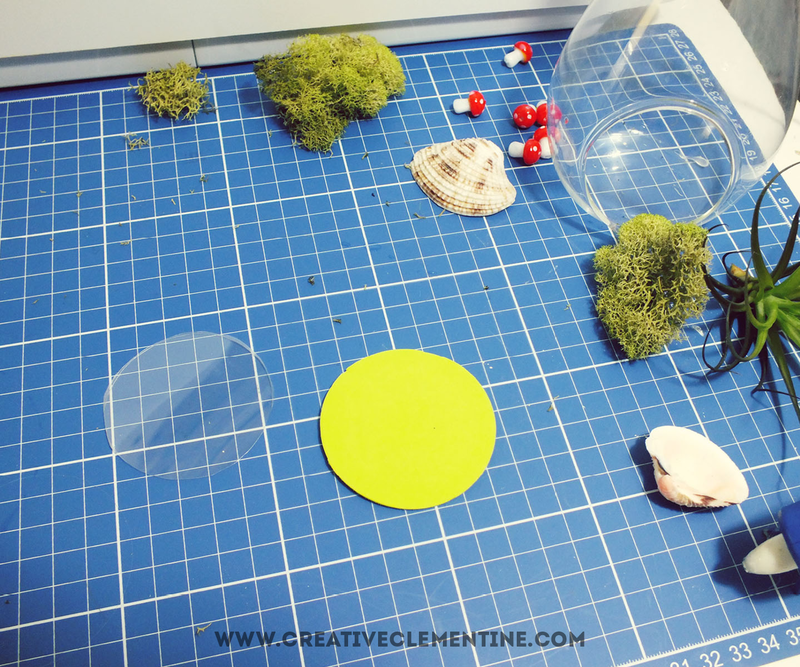 Using hot glue, I attached the moss to the plastic circle. I then positioned and attached the decorative items to the moss. 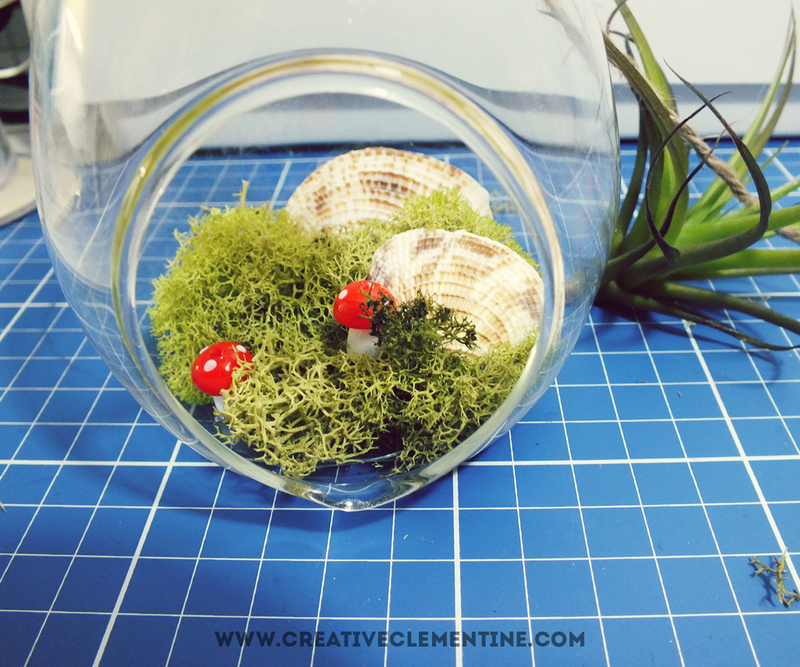 My choice decor were the shells it came with and amazing toadstool beads I purchased on Etsy. Folding the base slightly, I put it back in the bottom of the vase and shoved the air plant back in. Voila! 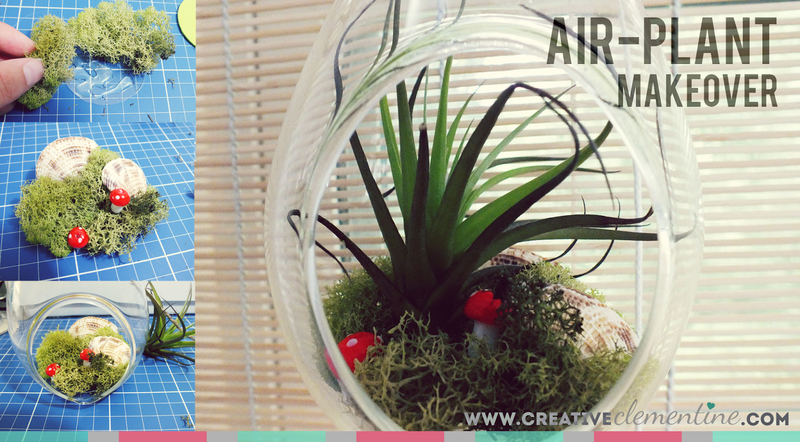 An extra cute air plant that keeps it looking adorable at all times. And all it cost was a dollar or so in buttons! This plant is the perfect little accent for my guest room/library which is almost ready for its big blog reveal (you can read a bit more about that right here). Have you given any house plants a makeover? I'd love to hear your stories! This idea is great! I've been looking for a way to add to my indoor plant collection! Thanks for sharing!